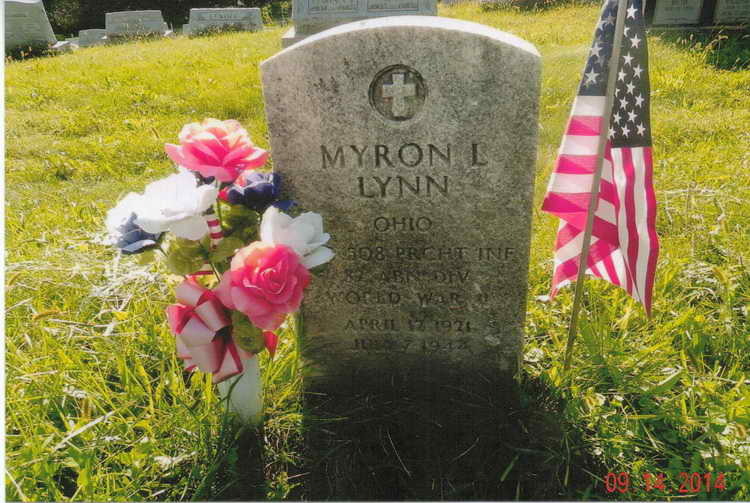 Grave marker application for Pfc Myron L. Lynn to be erected in the Highland Cemetery, Mt. Pleasant (Jefferson county), Ohio. Myron enlisted in the Army on 12 October 1942 and after volunteering for parachutist duty was assigned to Headquarters 1st, 508th. 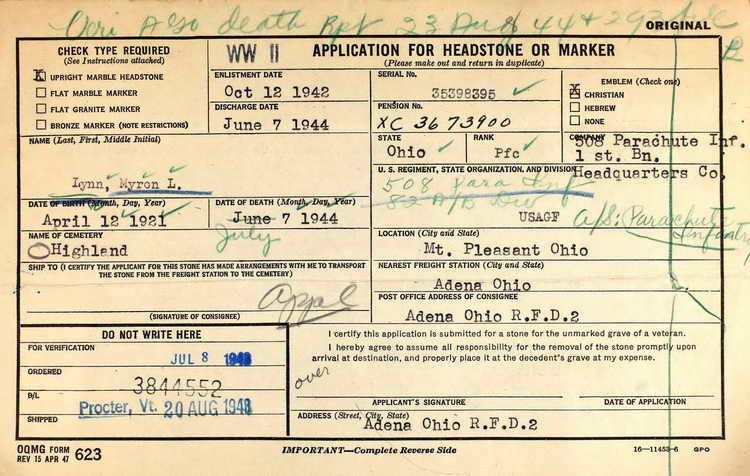 He was initially listed as missing in action on 6 June 1944 but after his body was located on 7 July, that status was changed to killed in action.